The battle over wolves has entered a new and scarier phase. Keeping wolves listed as endangered may not be possible. Listing them as threatened may be. Or the Endangered Species Act could be gutted, leading to the death of many wolves and other animals. 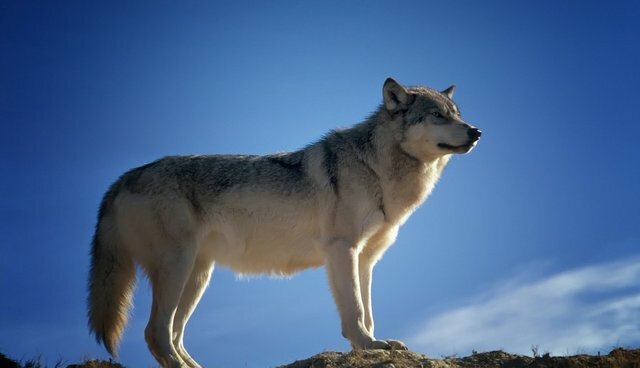 The battle intensified last year when a coalition of conservation organizations filed a lawsuit, demanding that the US Fish and Wildlife Service return wolves to the protection of the Endangered Species Act in the three Great Lakes states and Wyoming. A federal judge ruled that those wolves must again be protected. Tempers flared and disgruntled members of Congress claimed that the ESA was being misused. The members wrote two bills that are based on politics rather than science and would delist the wolves again. These anti-wolf bills have begun the long and uncertain journey to becoming law. When politically savvy conservationists learned of the legislation, they understood that the ESA as well as wolves were in the sights of predatory politicians. If the two bills pass, members of Congress might feel emboldened enough to go all the way and write a bill that kills the Endangered Species Act. If such a bill became law, many animals - not just wolves - would suffer. Thus, conservationists came up with an approach that has never been tried before. In late January, they petitioned Secretary of the Interior Sally Jewell to downlist wolves - to change their status from endangered to threatened in the lower 48. My latest blog post explores this important political and cultural issue in depth and provides links to help you further understand just how crucial this battle is to the survival of wolves. Rick Lamplugh is a wolf advocate and author of the bestselling "In the Temple of Wolves." Available as eBook or paperback or as a signed copy from the author.